online and get it delivered to your door step with ease. I just saw this post on JumiaFacebook page and I felt someone might need it. 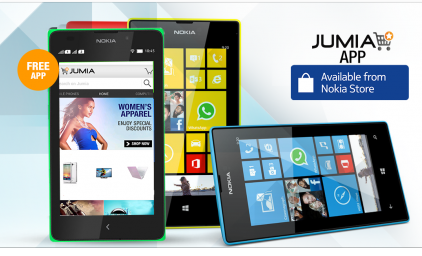 Download it here and also visit jumia facebook page here. I guess we are having a nice evening? Hello Yomi, I wanna thank you for your assistance. I was approved today via http://www.naijapoint.com. Thanks a lot. Secondly, in my earnings tab, I was told that my blog was not eligible for the Google ad-sense and I don't know why although I have been approved and their ads are showing on my site. This there for has made it unable for me to configure my posts section in the layout tab to show ads between posts. I have to now do that manually on every post. Please I need help with that. Still rocking mtn 150mb thanks to Prof.
Pls is mtn 700mb still working. if yes pls send step by step guide on android & pc to [email protected]. May God continue to bless you Yomi. what kind of os is it using? prof. The os is linux.